As pointed out by Grand Prix dot com today, there has been a lot of movement in the F1 engineers market of late. Jorg Zander, BMW's chief designer, recently jumped ship and went to Honda, and Geoff Willis, Honda's former technical director, has gone to Red Bull. Red Bull in particular have been gradually building a team of well respected engineers around their star acquisition, Adrian Newey, and their line-up now looks as though it ought to be a world beater in a year or two. Honda have joined the search for personnel to improve their flagging fortunes and, as pointed out by Grand Prix, this brings pressure to bear on the successful teams as they see valued members of staff tempted away to presumably more lucrative shores. As I mentioned some time ago, this results largely from the designers and engineers having become famous in their own right. These days the names behind the car are every bit as important as those of the drivers. We see Newey go to Red Bull and immediately presume that they will have an excellent car very soon (it's been something of a disappointment though, hasn't it? ); BMW lose a few key staff and we wonder how much this will affect their performance in the future. This raises a few questions in my mind. For a start, are the top teams paying their employees enough? It would appear not, since they are being lured away with regularity. And, if they are not paying that much, is it because they are tight-fisted or do they know something we don't? I suspect that the latter is correct. The most competitive teams have been at the game for a long time and have learned that success does not come purely from one man (BMW may look new but they are really a development from Sauber, which has been involved in F1 for many years and been successful by the standards of small teams). Building and racing an F1 car is a team matter and, as the saying goes, nobody is indispensible. Looking at McLaren's latest offering, the MP4-22, one would have to say that Newey's departure has not hurt the team one bit (and I don't believe its excellence has anything to do with the famous Ferrari documents). The company has strength in depth and can cope with occasional staff losses. Ferrari too does not seem to have suffered from the break-up of its dream team, although other factors may bring about a decrease in performance eventually. So is it possible to do what Honda and Red Bull are trying to achieve - buying their way to success? Once again, I have to say that I think not. Employing stars is all very well but it's in the building of an effective and efficient team that real success lies. Honda especially is hampered by constant personnel changes, very often caused by dissatisfaction from the board of directors at their lack of success. And Red Bull, who look so strong on paper, may well find that race wins remain hard to come by even though the theory says they should break through soon. There is no substitute for hard work and experience in F1. It is in putting together a team of dedicated personnel who work well together that the best managers succeed. Say what you like about Ron Dennis but the fact remains that he is supreme in this area. That, I think, is why Mercedes don't buy the team and put someone else in charge; they know that Ron remains the real reason for McLaren's long history of success. Ultimately, Red Bull's success will depend upon whether their manager, Christian Horner, can weld together a good team from the stars he has bought. That will take time and we will not see the team suddenly shoot to the front, even next year. And as for Honda, I have serious doubts that they are going to fix anything with their personnel changes. What is wrong there is the structure and the leadership. I would concur with most of what you have said. A Formula 1 team has to be a team. Ron knows that - although Newey was brought in after succeeding with Williams, most other design staff are home-grown (often after serving a relatively short apprenticeship elsewhere). Frank Williams knows that, which is why he often recruits straight out of junior series and then trains them. Nick Fry apparently hasn't picked this up from his boss, David Richards (who incidentally was a master of putting the right person in the right place) Does Christian Horner understand this vital lesson? Like you, Clive, I am intrigued. Horner found a good team when he arrived at Red Bull, and after lopping off its heads (Purnell, Pitchforth and several leaders), kept it more or less intact. It is these leaders that he is now seeking to fill (apart from Purnell's role, which Horner himself occupies). It is necessary, however, to get leaders who can work well with the core unit. I don't know how well Newey has gelled (no fireworks yet, either of the good or bad kind), but a stabilising design influence may be enough to get the Red Bull design team on an even keel. As for why staff are easily lured, I don't think that's down to people being underpaid as such. Underpayment is only meaningful in relation to the market and people's needs for survival. Rather it is a combination of the vast range of salaries there has been in F1 for the last 20 years and the natural desire of engineers to follow a career path. Some teams (e.g. Williams now and Jordan in the past) were notoriously low payers. They specialised in getting new people into Formula 1 and training them - and seeing them tempted away by rival teams offering twice as much money. BAR were notorious in 1998/1999 for doubling the wages of everyone who they poached, and Red Bull are doing the same with great success (though I don't think Adrian himself doubled his salary). Also, engineers want different things as they progress in their careers, just like drivers and all other professionals of a certain calibre. They don't just strive to climb the ladder to gain more responsibility for the car - they also seek to find the perfect environment and colleagues. 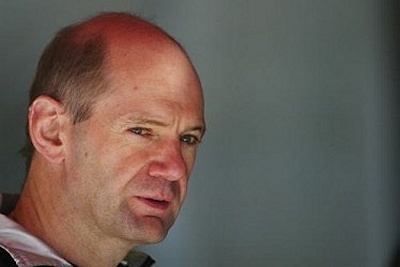 This is why Adrian Newey has moved (both times). He moved to McLaren for the colleagues, as far as I can tell from reports at the time (specifically he wanted more choice about who he worked with). He's now moved to Red Bull because of the ambience, plus he gets to work with David Coulthard again. Since several of his ex-McLaren colleagues have made the move as well, the chances are he'll stay at Red Bull for a while. Just as you say, Alianora, money isn't the only thing to be considered when looking at all these movements between teams. Yet it does play a significant part when salaries can be doubled by making the right move. Working with the right people is so important as well, as we have seen recently, with first one then another colleague being tempted to a particular new field. It may have had a lot to do with the Ferrari documents scandal too, Nigel Stepney's discontent after Braun's departure from the team perhaps leading to some rash acts. It does seem that Red Bull are building themselves a very powerful team and we might well see the results of that in due course. Next year? Perhaps, although I think it would be a bit early - consider how long it took for the Ferrari "dream team" to make its presence felt.